I don't know what I would do without my slow cooker- it is such an amazing kitchen appliance! 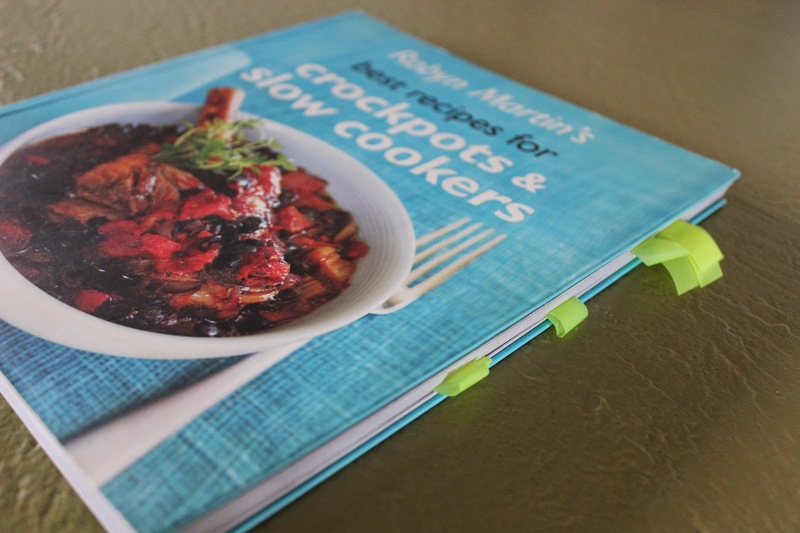 My plan of making post-it-note marked recipes form my recipe books is coming along nicely, and this week I pulled out Best Recipes for Slow Cookers and Crockpots by Robyn Martin. This book is full of outstanding slow cooker recipes, and as well as your traditional stews and soups there are pie fillings, curries and cakes. So many recipes I want to try! The recipe I chose this week was the Cajun Chicken Wraps- modified for children to be less spicy. Mix Cajun seasoning, soup mix and water together. Trim any fat from chicken and cut into 2cm strips. Place soup mixture, carrots and chicken in the slow cooker with the peanuts and cook on LOW for 6-8 hours. Half an hour before the end of cooking, mix in the yoghurt. 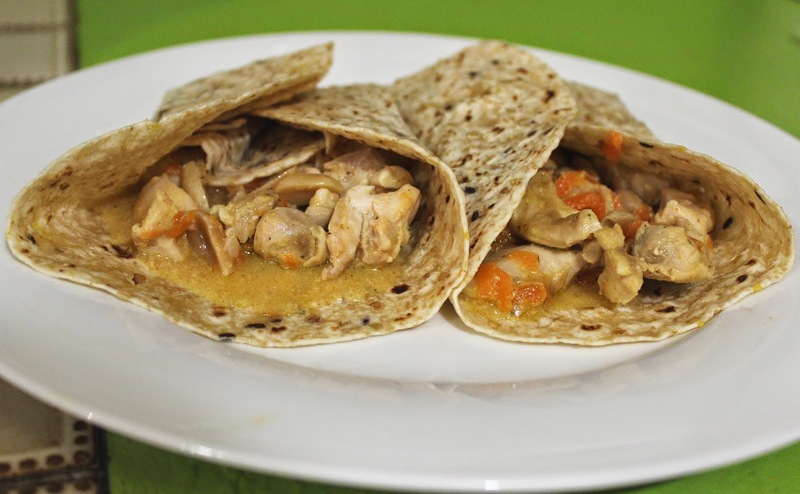 When ready to serve, warm the tortillas and place the chicken mixture down the centre of each tortilla. Fold bottom of tortilla over chicken and wrap around to enclose filling. The verdict- This turned out to be quite a mild mix- it was almost more of a Satay Wrap. My four year old announced that the chicken was "40,000 delicious" and he hardly ever likes chicken dishes, so this was a big breakthrough! The wholegrain wraps I used were also a great tasting option, and the carrot snuck in an extra serve of veggies for the kids. Overall, I would make these again but probably add some more spice to the mixture. Labels: cookbook , cooking , food , What's Cooking Wednesday. If your 4 year old ate it, it must be good! My kids can be so picky about new dishes!